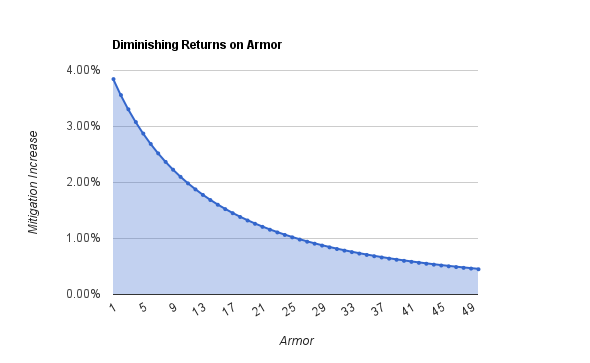 I wanted to develop a better feel for the effects of armor in the game, so I made these charts and am sharing them here. As you can see, 25 armor = 50% damage mitigation. 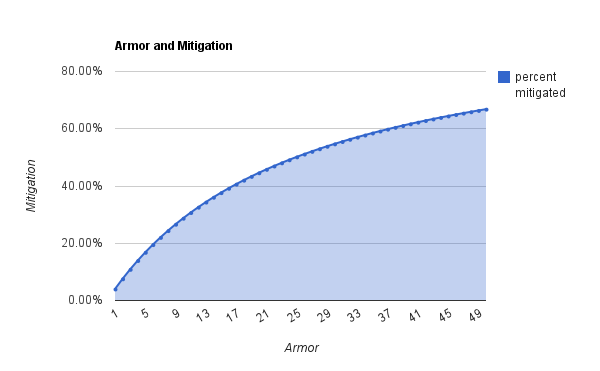 This chart shows how much mitigation each point in armor gives. The first point gives nearly 4% mitigation, while increasing one point from 25 to 26 will give you less than 1% additional mitigation. Here is a table with the raw data of how much mitigation each level of armor provides.